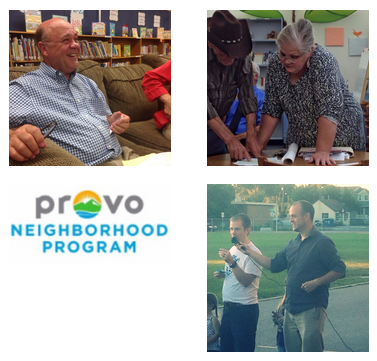 Three Provo neighborhoods held elections recently to choose a new Neighborhood Chair. Vice Chairs were also elected to help with the work involved. They will serve four-year terms and provide a crucial point of contact for their neighborhoods. David Wright is the new Rock Canyon Neighborhood Chair, taking over for Maureen LaPray. Mary Millar is the new Spring Creek Neighborhood Chair, replacing Tim Brough. Robbie Potter is the new Dixon Neighborhood Chair, taking over for David Harding. Congratulations to these new Chair and many thanks to the previous Chairs for their years of helpful service to their neighborhoods and Provo City. 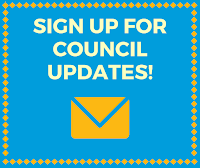 For more information about the Neighborhood Program, maps showing the boundaries, and contact information for Neighborhood Chairs and Vice Chairs, visit our website.